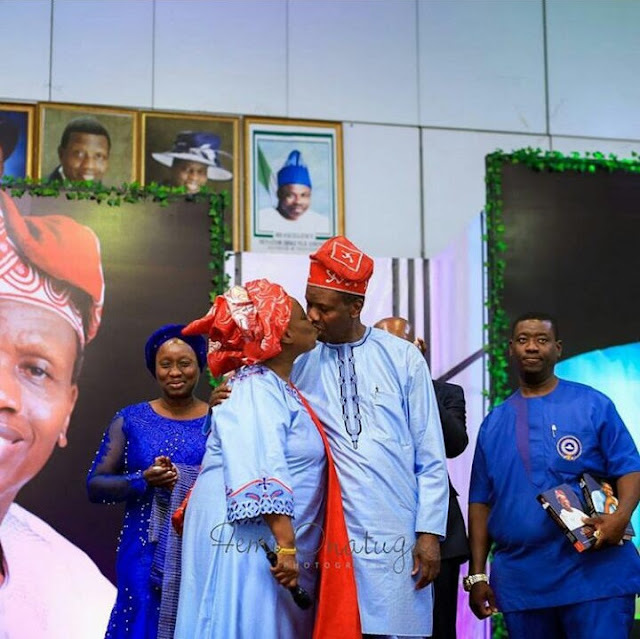 Lovely photos of the General Overseer of RCCG, Pastor EA Adeboye (Daddy G.O) publicly kissing his wife, Mummy GO, Pastor Foluke Adeboye. He also said "Thank you God for these ones" as he points to his 4 children during a book launch in honour of him at RCCG Redemption camp ground. Daddy and Mummy GO have been married for 50 years. We pray for more 50 beautiful years in togetherness if Jesus tarries in Jesus name, amen. The 40–chapter book, put together by several authors contained untold stories of Pastor Adeboye’s life – from his humble background, his education, marriage and partially, his spiritual life. The launch on Tuesday took the Pastor by surprise as he was not aware of it. interesting twist when he and his wife kissed before the audience. 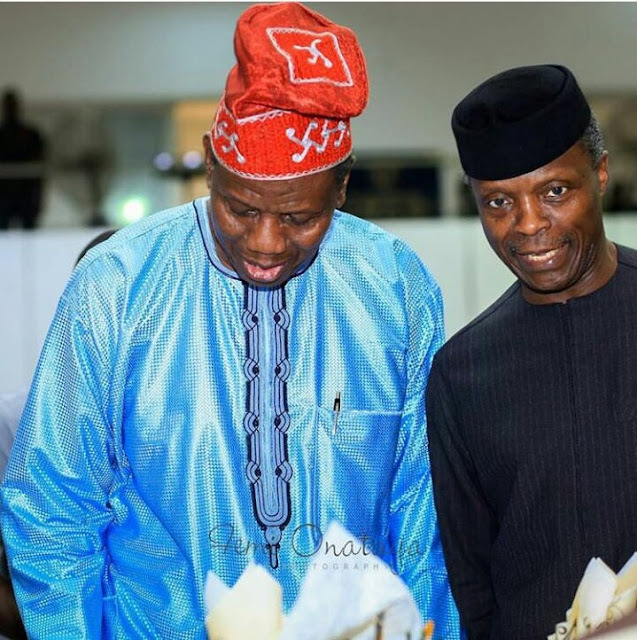 Present at the event were the Acting President, Professor Yemi Osinbajo, the former president of Nigeria, Chief Olusegun Obasanjo, captains of industry, as well as members of The Redeemed Christian Church of God. 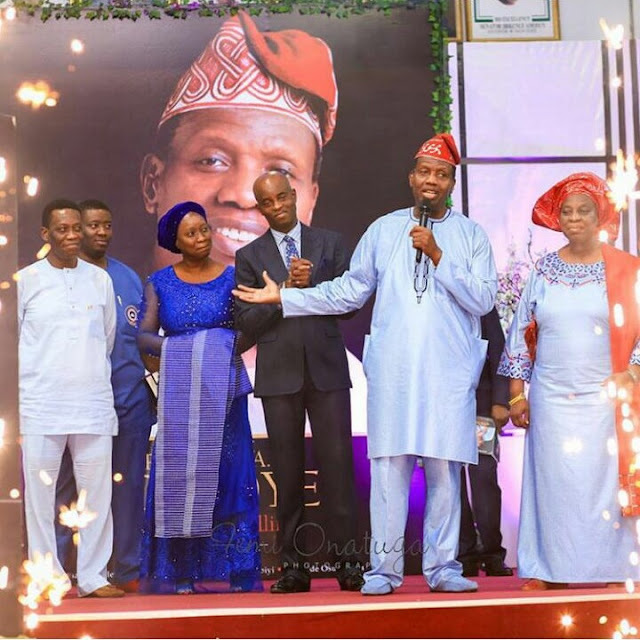 Some of the dignitaries took turns to speak glowingly of the humility and strong faith of Pastor Adeboye. 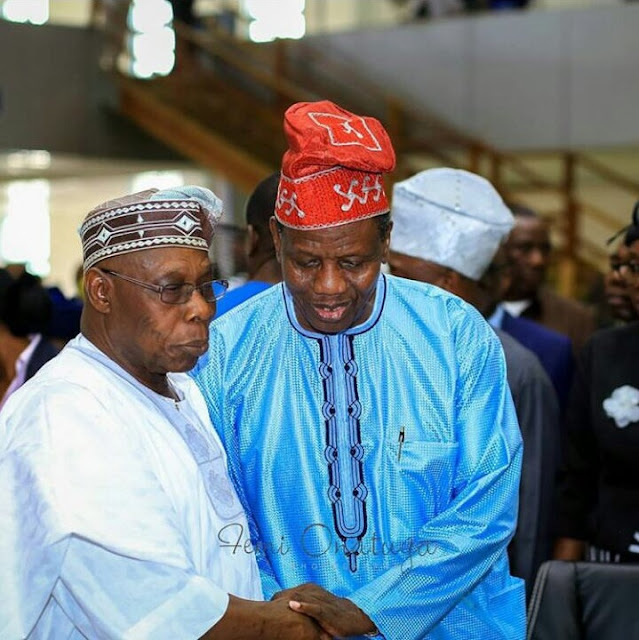 Pastor Adeboye who clocked 75 in March 2017, received the mantle to become the General Overseer of RCCG in 1981 by the late founder, Pa Josiah akindayomi, a position which he says came to him as a shock. From a very humble background in a little town of Ifewara, Osun State in the southwest of Nigeria he completed his primary and secondary school then moved to the University of Nigeria, Nsukka for his first degree in mathematics. The clergyman who has been in the forefront of Pentecostal revolution, later got his master’s degree at the University of Lagos in 1970 and returned to UNILAG for his PHd programme. Today, the redeemed Christian church has spread to about 198 nations and is still expanding the gospel of Christ through Pastor Adeboye.